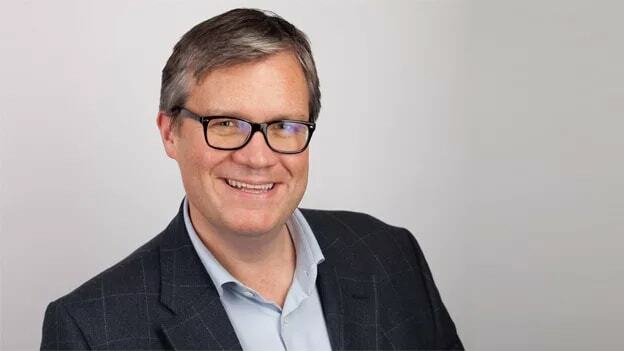 Top global recruitment influencer Matt Alder shares how the most successful tactic to showcase an employer brand in a compelling way is to share positive authentic employee stories. Employer Branding has never been more critical. Long-term skill shortages and the challenges created by digital transformation mean that an ever growing number of employers are finding it difficult to attract the talent they need to their business. In such a candidate driven market companies must offer a compelling and persuasive case to convince the best people to join them, and a strong employer brand is critical to achieving this. There is often a lot of debate about what an employer brand actually is. At the simplest level, it is about building trust to gain attention and persuade by presenting a view of the organization, its culture, values and employment experience. In a competitive marketplace, it’s crucial for every organization that the impact and reach of its Employer Brand is leveraged to help showcase differentiation. Recruitment marketing channels are becoming noisier, and this means each business needs to be as creative as possible in identifying all opportunities to maximize their brand. The challenge is that an employer brand can no longer be a just a strap-line created by a marketing focus group. Fuelled by the growth of information available from social media and workplace review sites like Glassdoor, the level of due diligence potential employees are undertaking on the companies wishing to hire them has grown exponentially. An employer brand now needs to be transparent, authentic and stand up to the scrutiny of our ever more connected world. The companies that are rising to meet this challenge are the ones who are open and honest and let their employees speak as advocates for them to provide the social proof of an insider’s point of view. By far the most successful tactic to showcase an employer brand in a compelling way is to share positive authentic employee stories, which underline culture and showcase the employee experience in a way that resonates with the appropriate target audiences of talent. Content marketing is a critical part of any effective talent attraction strategy but traditionally most employers have used content on their corporate careers sites that is flat, dull and very rarely updated to describe the employment experience and job opportunities. It is certainly not content that would build any level of trust or engagement if it was shared on social media. Smart employers have realized that the communication landscape is changing and are now focusing on authentic storytelling as a way of building engagement in social media. In order to be effective at content marketing via employee story telling, employers need to identify brand advocates within their organisation who will be sources of content and produce content regularly and consistency. One of the biggest issues here is having the time and resource to find these employee stories within the organization and repurpose them in a way that will be effective on social. For companies who want to attract exceptional talent though this is a critical investment. There are technologies and techniques that can help here by making it easier for employees to submit stories, videos and photos that can be used for talent attraction. Having an employee storytelling strategy has proved to be successful for numerous companies both large and small across many different talent markets. Companies such as Standard Life, Brewdog, Chilis and CA Technologies are all sourcing and sharing their employee's stories and greatly benefiting from the positive effect it has had on the perception of their employer brands. The talent market is predicted to get even more competitive as we move through 2018 so there has never been a more important time to review and implement employer brand communication strategies for companies who want to improve their ability to attract the best talent. Authenticity is the key and helping your employees to tell their stories is one of the best ways of achieving it. Matt Alder is a UK based Talent Acquisition Innovation Consultant. He is the host of The Recruiting Future Podcast and author of the book “Exceptional Talent” which was published by Kogan Page in 2017.